The Franklin Hotel was a great hotel that was clean and had a very responsive and attentive staff. Great location. I definitely recommend this hotel. The hotel is not as nice as the pictures on the website make it out to be. The breakfast was shut down by the health dept., the rooms were barely serviced, and the amenities (TV, Hair dryer, and towels) were either broken or janky. The room we were in was so small one person had to stay on the bed so the other person could walk around the room. We had bug bites, which has us thoroughly afraid and prepared to de-bug all of our valuables. Convenient location, there were smokers in the other rooms that filled the hallways with smoke. They also had issues with breakfast, so no breakfast as advertised. Nice hotel, very old fashioned, room very clean with the exception of a stained headboard and very old stained carpet in our room. They were clean but stained. Only 2 very small flat pillows but I asked for another pillow and a nice fluffy one was brought up. Breakfast was continental and ok. Staff was excellent however and made for a pleasant experience. Proximity to 4-5-6 and family were perfect. Breakfast room was cramped. Good place for a short stay. Good location, basic hotel. Needs to be renovated. Staff were very nice and helpful. Close to Museums and Central Park. Very old, in every way. The breakfast was inadequate and no room to eat. I felt like I was in an episode of the Adams Family. Small unassuming hotel. Well priced. Very small rooms- small beds. Daily wine happy hour and breakfast included in the price. Many great restaurants nearby. Located in Upper East Side, The Franklin Hotel is within a 10-minute walk of popular sights such as Central Park and Solomon R. Guggenheim Museum. The 50 rooms at this 3.5-star hotel include minibars and TVs and guests can enjoy free breakfast. Guests can enjoy a TV and stay connected with free WiFi. Beds sport premium bedding and the bathroom offers a hair dryer and designer toiletries. Other standard amenities include a minibar, free newspapers, and a safe. 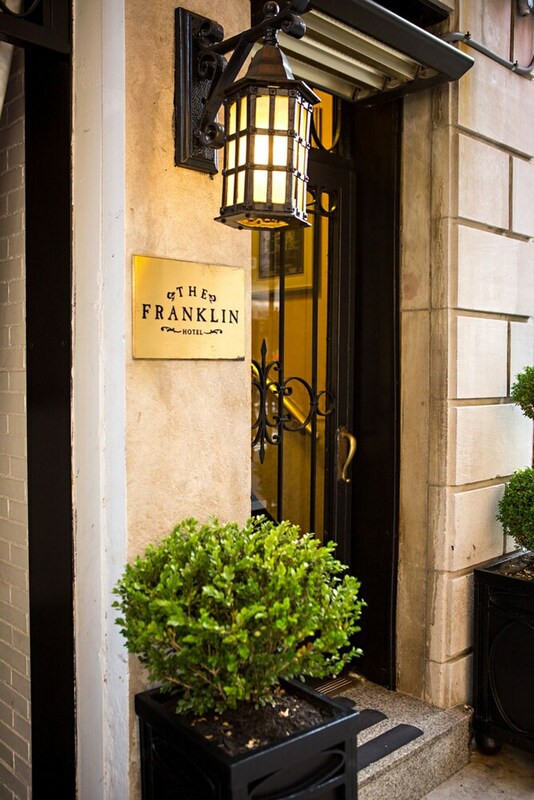 At The Franklin Hotel, guests have access to free WiFi in public areas, a library, and express check-out. Multilingual staff at the front desk are standing by 24/7 to help with securing valuables, luggage storage, and concierge services. This boutique hotel also has a porter/bellhop. The front desk is open 24 hours a day, and checking out is easy with express services.